extensive experience. The cutlery designer Tias Eckhoff created a model 1990 that combines in his discretion the best attributes of Scandinavian design and elegance. contemporary table concepts are perfectly complemented by the slim shape and elegant balanced lines. As a masculine contrast, they also underline texturized tableware such as Raynaud's Mineral. Chaco is acknowledged in the international permanent exhibition of the Design Museum London, far more important than this, it continues to pose the lasting popularity over decades. Tax-Free delivery to all NON-EU countries. All prices including 19% VAT and plus shipping! 18/10 high-grade steel . 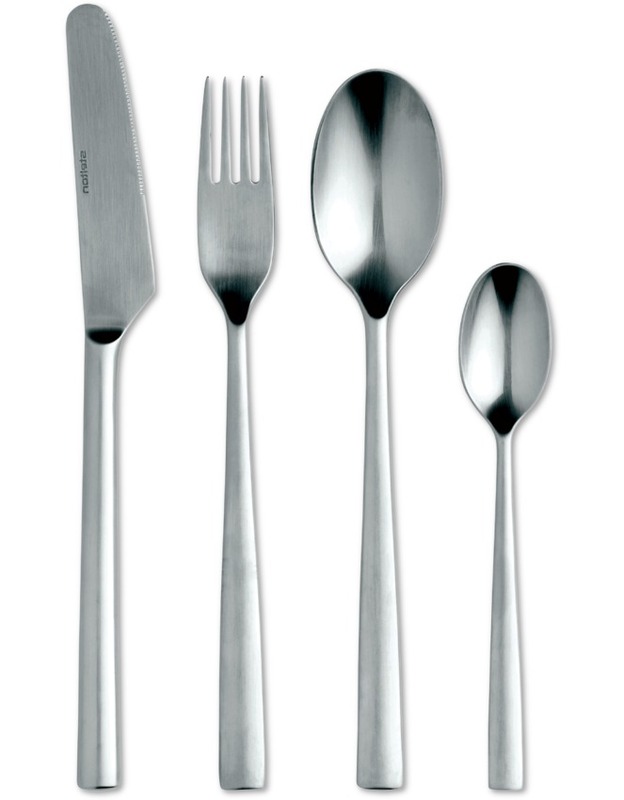 stainless steel is an alloy of steel, chrome and nickel which is used preferentially with quality cutlery. Chrome and nickel provide for the corrosion resistance and the softer shine which can be noticed on closer inspection. 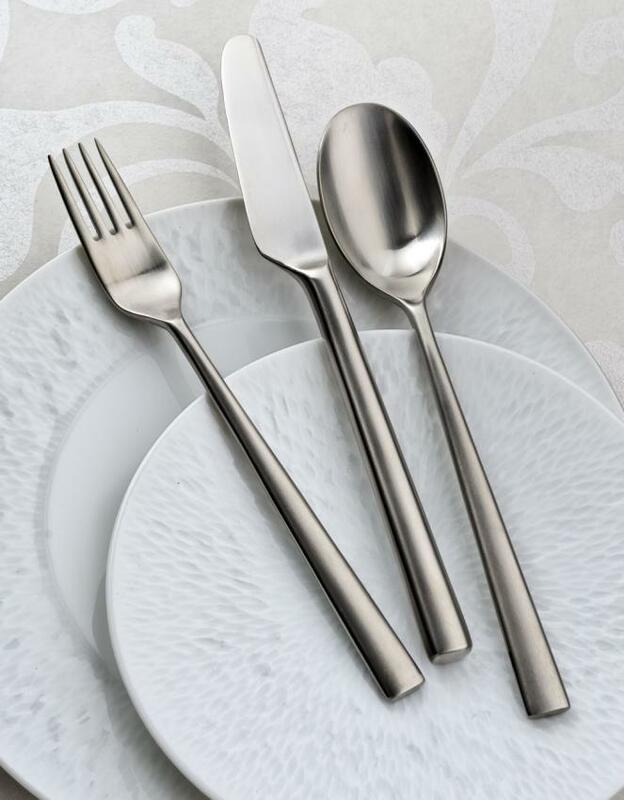 The steel of this cutlery includes 18% chrome and 10% nickel and is dishwasher safe and resistant against light acids and waters. a hollow handle. Knives with a hollow handle have a blade of special steel which is clearly sharper than a blade from an simple chrome steel. The high-quality hollow handle knives are always composed from two parts, with this cutlery from the blade and the handle from stainless. Stelton Chaco in stainless is matte. The functional, timeless cutlery has only some additional parts: from sauce ladle to coffee spoon, from coffee spoon to table spoon .